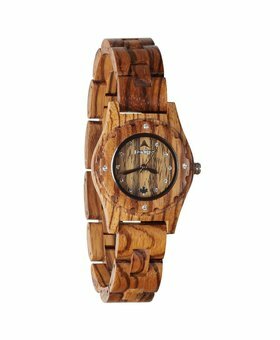 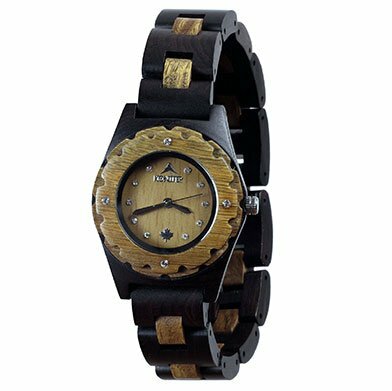 There are regular wooden watches, and then there are those that take style to the next level. 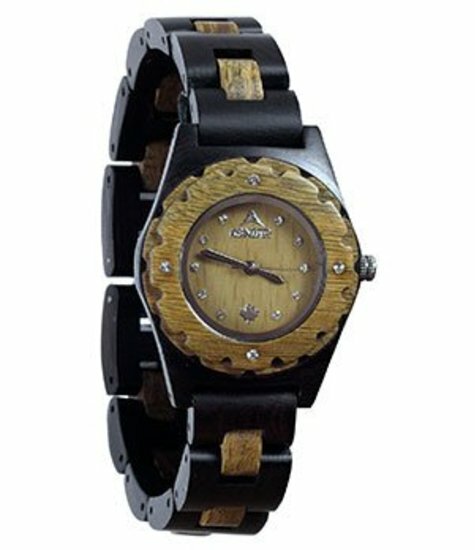 Our Bonzai Army proudly falls into the latter category, offering a striking blend of smoky blacks and warm greens that will instantly upgrade your wrist. 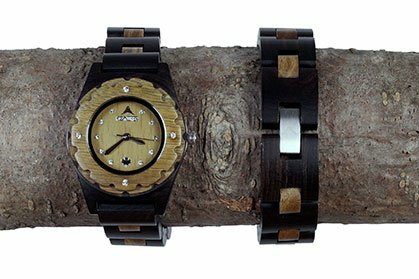 Bonsai is a Japanese art form that grows trees in tiny containers. 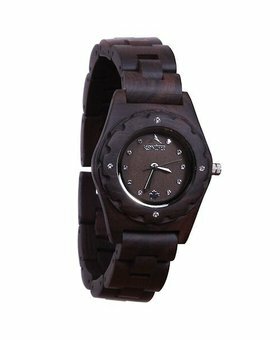 Our version packs big style into a little watch. 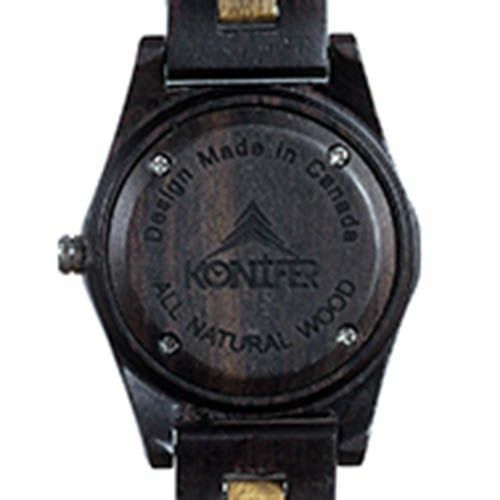 This slim-profile watch is entirely handcrafted in pure ebony and green sandalwood, evoking the natural warm colors of the famed bonsai. 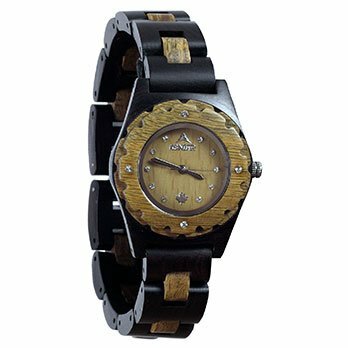 Featuring a round face that’s just 1 3/8″ across, this wooden watch is sleeker than some of our bolder models.